1. Use a high rated antivirus and ensure to keep it up to date: Check the current rating of antivirus software and choose one that has a good rating, I know some like Norton, Bitdefender, Eset Nod32, ZoneAlarm Security, F-Secure Internet security, Kaspersky Internet Security, Trend Micro Internet Security, Panda Cloud Antivirus, G Data SecuritySuite, etc also ensure to keep it up to date. 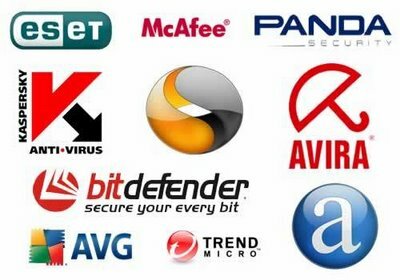 You can also use other spyware scanners like McAfee VirusScan, Webroot Spy Sweeper, Windows Defender, etc. 2. Always run your Windows Updates and other Security Patches as this will help ensure a better security. 3. Firewalls will protect you even more; always ensure to use a firewall because no internet connection is safe without a firewall. 5. Reading your emails in plain text is the best option and its also an important security measure to avoid infections from worms and Trojans. Same goes with your instant messaging. 6. Avioding Filesharing will help you secure your computer, most worms and Trojans spread through filesharing networks likes Torrents, Kazaa etc Please avoid filesharing to ensure your computer safety. 7. Be smart to avoid internet scams, phishing and frauds. Avoids those emails promising to give you millions for doing nothing. Following the tips above will help you secure your computer even more. Your computer safety should be a serious concern to you always. Following the computer safety tips above will help you stay clean of computer infections.If you have any contribution to add to this blog post, please use the comment box below. I will like to hear from you. You should also Subscribe to NetMediaBlog Feeds by Email. Good day. Very cool website!! Man .. Excellent .. Wonderful .. I will bookmark your blog and take the feeds additionally…I’m happy to find so much useful information here in the article. Thanks for sharing..